Here at Pistols Firing we are very proud to partner with a handful of great companies that sponsor our podcasts, videos and a variety of other endeavors. 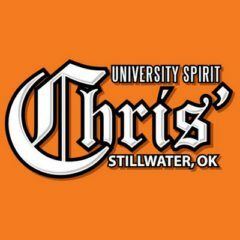 Chris’ University Spirit has been a Stillwater staple since 1986 and a proud partner of our site since 2016. Located on the corner of 3rd and Knoblock, Chris’ specializes in custom-printed Oklahoma State apparel and merchandise but also offers greek apparel and other gear for all sorts of athletic endeavors. Chris’ is the top spot in Stillwater for Cowboy gear. Additionally, Chris’ prints and ship all of the fine merchandise you see at our dry goods store. We’ve loved having them as a sponsor of our podcast and hope you post up there while passing through town or waiting for your pizza at Hideaway. Guthrie’s Hoboken Coffee has one of the most unique stories of any Oklahoma company out there. It started with an exploration of Oregon and its coffee-loving ways, and continued with a bike ride (yes, a bike ride) all the way back to Oklahoma to chase a dream. 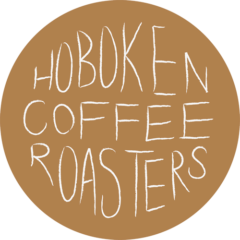 Hoboken is the longest standing sponsor of our blog, and has been bringing you the Daily Bullets for four years. It is also the longest standing sponsor of my body as I sip Hoboken every morning while banging out random thoughts about Mike Gundy and the Pokes. If you stop by or live in Guthrie, you should definitely check them out. Or you can order some of their beans online right here.